The talks come as Washington and Havana have been at odds over the fate of U.S contractor Alan Gross, who was arrested in 2009 and is serving a 15-year prison sentence for bringing Internet access equipment to Cuban Jews. The Cuban government considers that action subversive. The last talks with Cuba on reestablishing direct mail service were in 2009. "We're hopeful that we'll be able to move things forward," Psaki said. I think reestablishing direct-mail Cuba is a step in the right direction and a steppingstone to the future. As Americans when we think about Cuba most of us think of the fun and mysterious and tropical island, which welcomes tourists from the United States of America and foreign tourists who want to experience the true Cuban culture form Cuban Margaritas to salsa dancing in Little Havana on a cool crisp summer evening night. Many Cubans and other Latin American cultures live in Miami and New York, so by expanding the United States of America Postal Services from the USA to Cuba we are connecting family and friends from Cuba with their long time relatives in the United States of America. Being an American who has traveled to Cuba with some tourists groups, the culture of Cuba is so amazing they are talented bunch of people who produce highly educated doctors,who help fill doctor shortages in the United States of America and other parts of the world as well. Also Cuba is noted for their salsa singers from the Cuban American salsa singer Gloria Estefan, who's song's can be heard on radio stations in Miami and Cuba and around the world as well. As Americans we know the United States Postal Services has served the American public for many years, having trusted mail carriers deliver the latest energy bills to our homes, or delivering a child's first birthday card from their grandparents who live three states away form them. Without the United States Postal Services expanding their mail services will the children in Cuba experience the same mail services and same joy when they receive a birthday card from their relatives in Miami like most American children who receive mail from the US Postal Services for years to come. 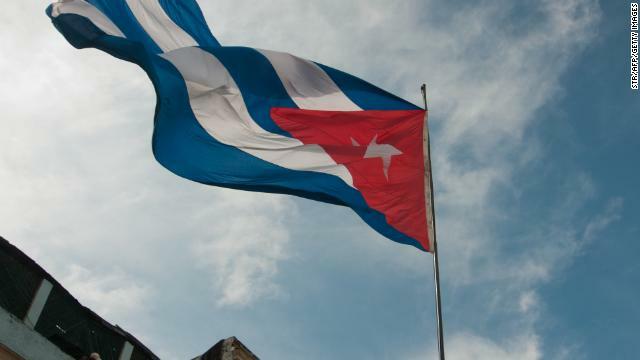 U.S., Cuba to discuss direct mail, but no policy changes??? Isn't that a policy change? I don't understand why Cuba wants nothing to do with us and why we want nothing to do with them. We need to move on from past issues and start clean. I believe as long as there is a Dominican, Columbian and American rum & cigar lobby in Washington opposing normalizing relations with Cuba, we will never get to add it to our travel list as places to go! As a canadian i have travelled to cuba the people were friendly and it was a nice place to visit, They are hardly a threat to anyone, let alone america never have understood why this has drug on so long it was water under the bridge decades ago. Thank you jonny, for your input. I'm sick and tired of all these idiotic right-wing, anti-Cuban rants here. Although none of these idiots have ever set foot in Cuba, they keep parroting the same U.S. government line! communist china is a worst threat to the u.s. militarily and economically than cuba could be in their biggest wet dreams. so why are we have free trade with china this country is out to sink us and our goverment pretends like cuba matters some how . Snail mail for Cuba? Although not state of the art, believe it or not, Cuba has Internet access albeit slightly sensored. See the blue Icon...that's Portland tony. Poser troll...... Get a real handle....Huh! The best way to turn Cuba's Communist government around would be to expose them to tourists from democratic countries. Thank you, denverboy1. You nailed it! The current U.S. policy toward Cuba alone clearly proves just how much of a stranglehold that the right-wing thugs have on our government. With 90% of Congress along with the White House bought and paid for by the M.I.C., this is unlikely to change in the foreseeable future. How revolting! I dont understand why our (US) government still has a problem with Cuba. Is this some absurd tradition? I agree a little more needs to be done. Not all at once a little at a time and a plan needs to be in place to gradually bring them in. It's all about the CUBAN vote in Little Havana...It has NOTHING to do with Cuba.. Please leave it alone or we will be sending billions in aid to Cuba.